Gentry's Ceiling Flush is timeless and versatile - ideal for a range of living spaces, transitional spaces in particular. 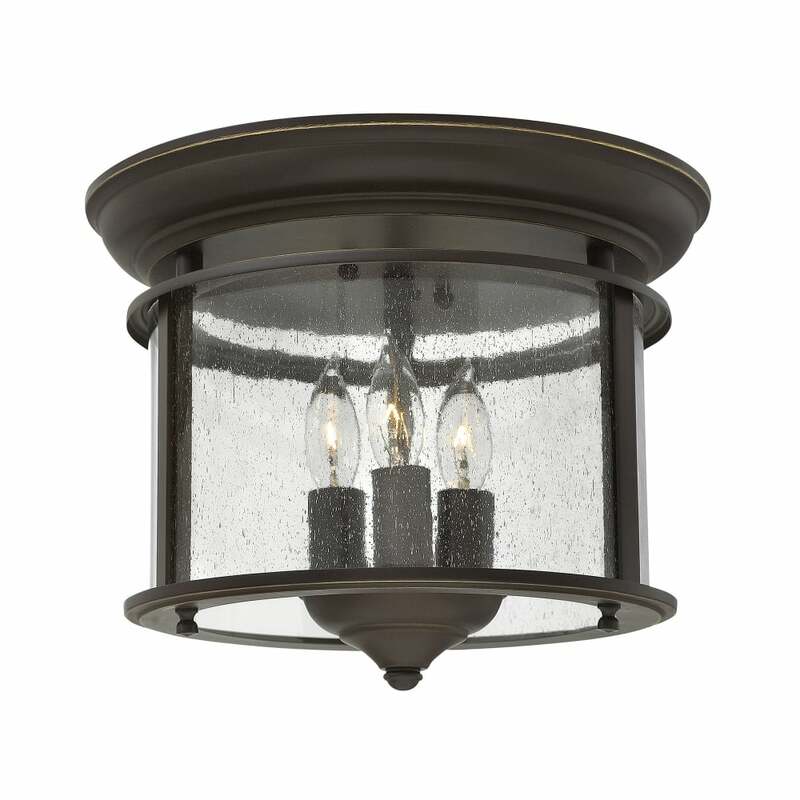 The elegant cage design features candles encased in seeded bent glass panels held together in an Olde Bronze, Polished Brass or Pewter-finished frame - accentuated by curved border details. Matches Gentry's stunning range of pendants. Choose from either the Handmade in Solid Brass fitting or the Pewter or Olde Bronze finishes. Pendants available in three sizes and the collection also features a flush mount in each finish. View All Hinkley Lighting for more information on Gentry or view the complete Gentry Collection.